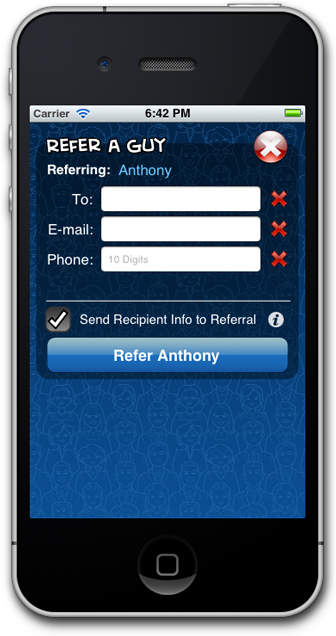 When your friends need to find a plumber, electrician, painter or landscaper, are you the one they come to for a referral? Or maybe you have a hard time finding people that you can really depend on to get a job done, and you’re sick of wading through a stream of recommendations from the internet. 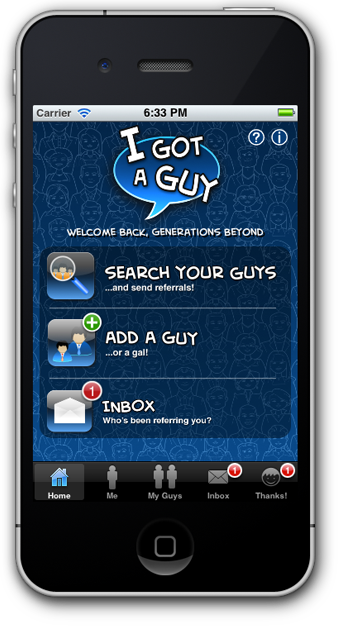 Either way, I Got A Guy is the app for you! 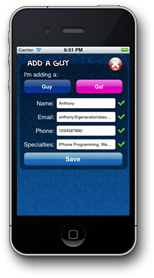 I Got A Guy is your personal list of trusted providers for whatever services you, or your friends need. 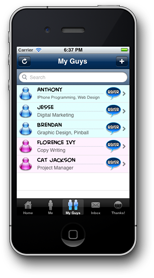 The only Guys, (or Gals) you’ll have on your list will be referred to you by YOUR trusted friends and associates. 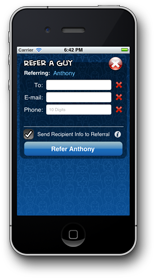 And you’ll have the chance to thank the people who have done a great job for you in the past in the way they’ll most appreciate it, by referring them to new clients, and they don’t even need to have the app to receive your referral. I Got A Guy was designed by Generations Beyond. 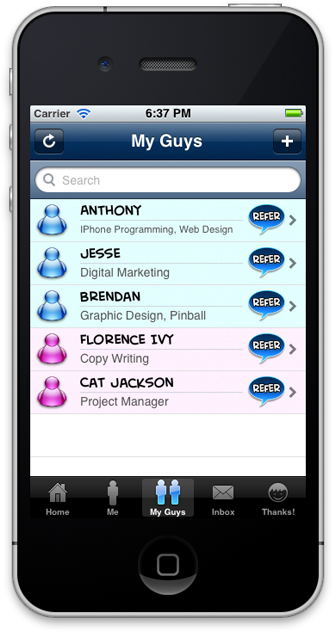 Copyright © 2012 Generations Beyond Inc.